I celebrated my birthday last week and my husband took me out for a mid-week birthday dinner at Persephone. For those that don’t know, Persephone is all about preparing food using the freshest local ingredients. Our GPS system did not acknowledge the fact that the numbers on Summer St. went as high as 283, which is Persephone’s address…but we were still able to find out way. We found a meter very close by and headed on in. 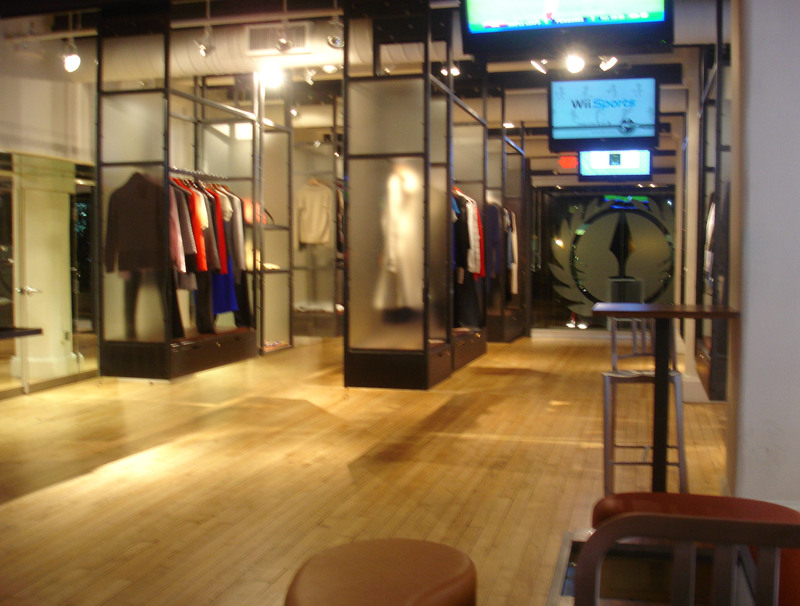 The front half of Persephone serves as a retail boutique selling high end men’s and women’s clothing and accessories. The racks/shelves of clothing are on a series of tracks and rollers on the ceiling so they can be pushed out of the way to make more space for a burgeoning bar crowd. The overall decor is modern and chic with large pieces of colorful artwork hanging on the walls and dark orange kidney bean shaped benches arranged in the bar area. We went on a Wednesday night and the bar was actually fairly crowded for a Wednesday. We were early and our table wasn’t ready yet so we sat at one of the high top tables in the bar area. 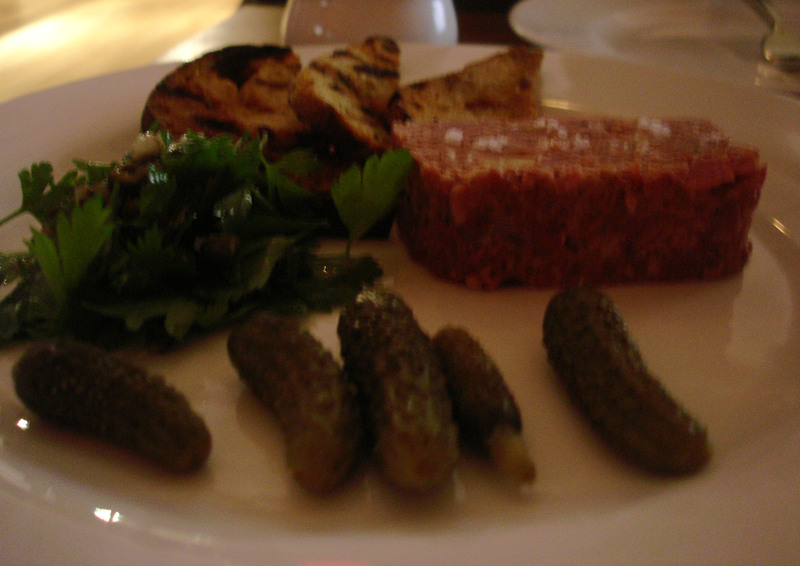 While we waited for our table, we ordered the Humanely-Raised Veal Terrine from the bar menu. It came with 3 toast points, about a half dozen cornichons, parsley and capers. The terrine had a bright pinkish red color and was definitely enough for two to share. We could have used one more piece of toast though so we didn’t have to fight over the last one. 😉 The terrine was good but I am not sure if I would order it again versus trying something new. 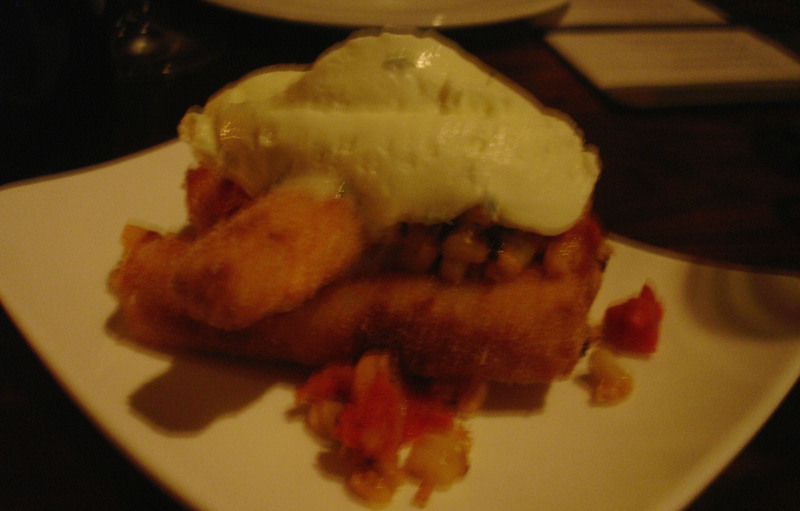 Once we were seated at our table in the dining space we ordered another appetizer– the corn fritters with corn & tomato salsa and lime creme. The corn fritters were shaped like mozzarella sticks. The outside was nice a cruncy and the inside had a sweet corn flavor. For an entree we really wanted to try the lamb for 2, but it said that it takes 45 minutes, and since it was getting late, and I am now an old lady and need my sleep, we decided to order entrees that didn’t involve so much of a time commitment. 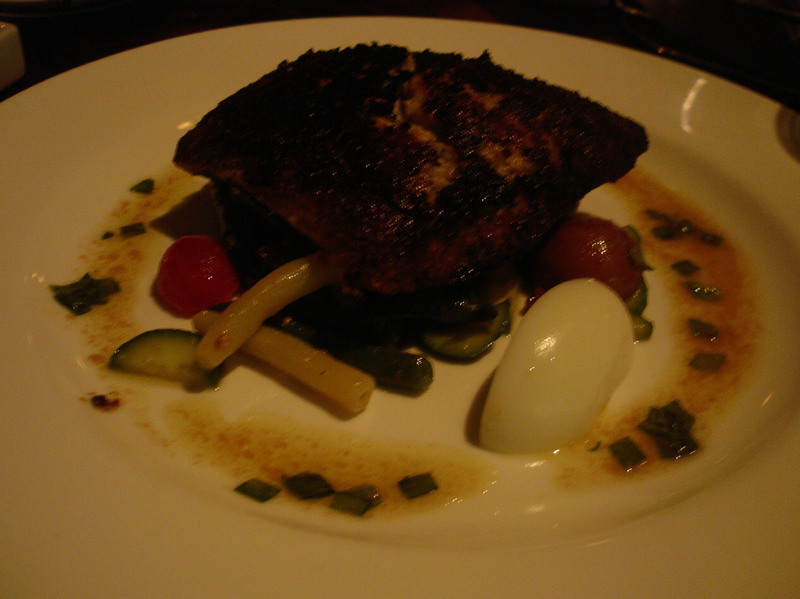 I ordered the Rhode Island Bluefish with Nicoise Salad. The fish has a nice spice coating on it and sat atop an assortment of veggies including heirloom cherry tomatoes, red potatoes, green beans and wax beans. My husband promptly snatched one of the 2 wedges of hard-boiled eggs as soon as my plate hit the table. The fish was perfectly cooked and the flavor was good. At the end of the meal our waitress brought us 2 pomegranate truffles, which were gone in about 15 seconds. I would give Persephone 4 out 5 mangoes. I like the concept of a restaurant showcasing local ingredients. The overall vibe of the place is cool and my husband says that he’d like to go back sometime. I am curious to see what will be on their fall menu. 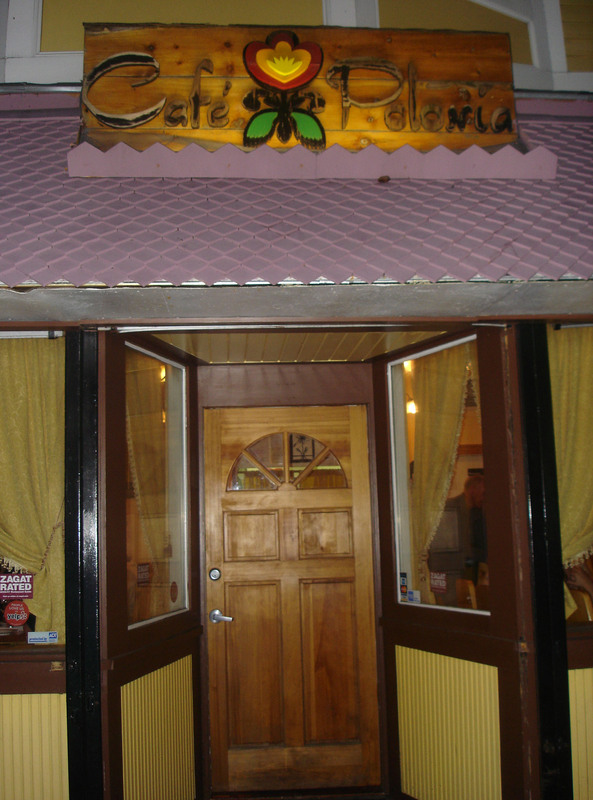 Cafe Polonia is located in Andrew Square in South Boston. We went on a Sunday night and were able to find street parking fairly easily. The cheery exterior is warm and inviting. 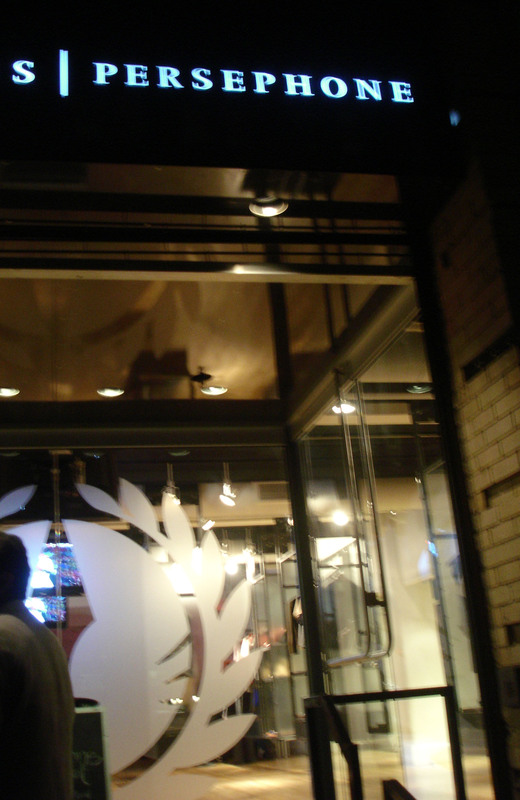 Once inside, we were ushered to our reserved table and handed the menus. The inside of the restaurant was cozy with yellow walls and chunky pine tables and chairs. The dining area is quaint and charming and it definitely made me feel like I had stepped into a neighborhood restaurant in Europe. The background music was an interesting mix of Polish pop & rock music and traditional polkas. The menu describes the food as “Fine Polish Cuisine” and has a nice selection of Polish comfort foods including borscht, pierogis, kielbasas, and more. Along with the items on the menu there were half a dozen specials written up on a chalkboard. Their prices are very reasonable. 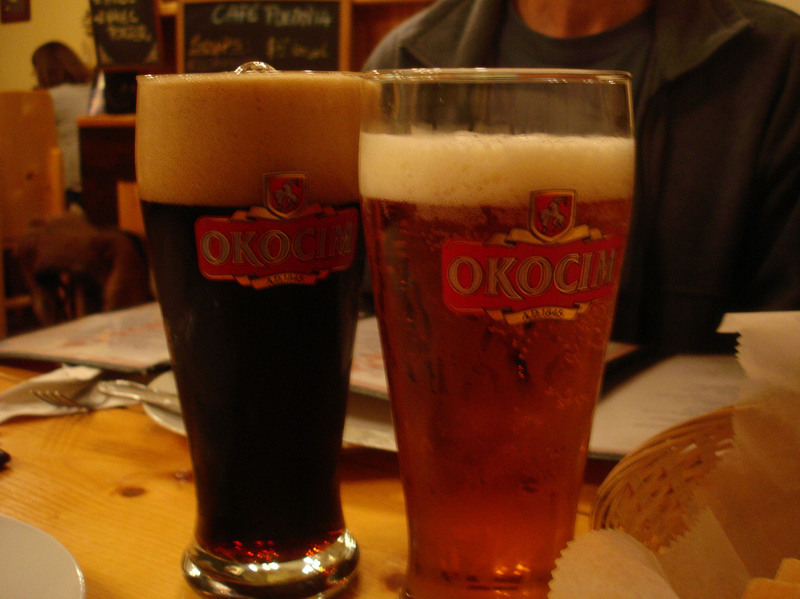 Our server was very friendly and suggested some Zyweic Polish beers for the 2 men in our party based on their described beer preferences. Both were very pleased with her selections. They brought us a bread basket that came with a small tub of lard mixed with bacon and caramelized onions. Since a couple of us don’t eat pork, we opted out of trying that. But, one brave soul gave it a try. 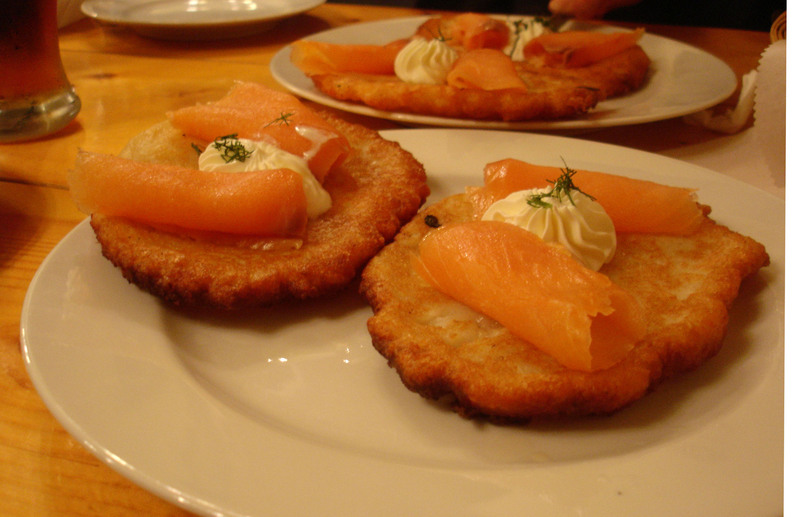 For an appetizer, we ordered the Potato Pancakes with smoke salmon and sour cream. The pancakes were very generously sized and fried to a golden brown. The exteriors were nice and crispy while the insides remained soft and flavorful. 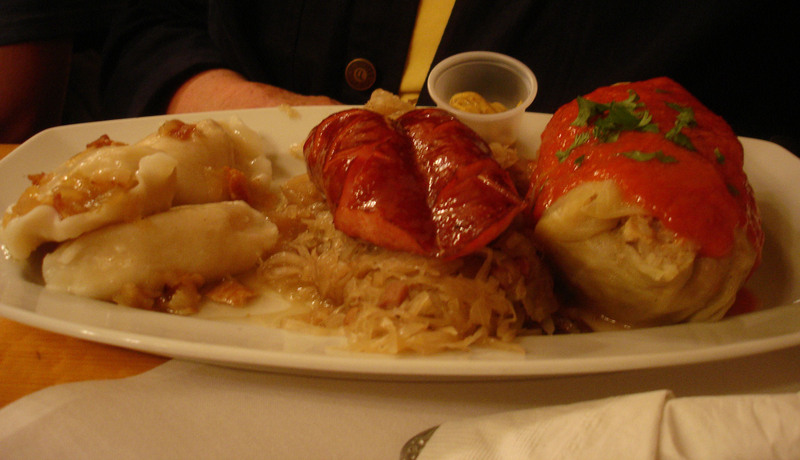 Two from our party ordered the Polish Plate which is a sort of sampler that includes stuffed cabbage, pierogis, kielbasa, and Hunter’s stew. I ordered the Beef Goulash with Potato dumplings. It came with sides of chilled beet salad and pickles. It was good and very generously portioned. My husband ordered the Rainbow Trout. The trout was stuffed with red peppers and capers and baked whole. 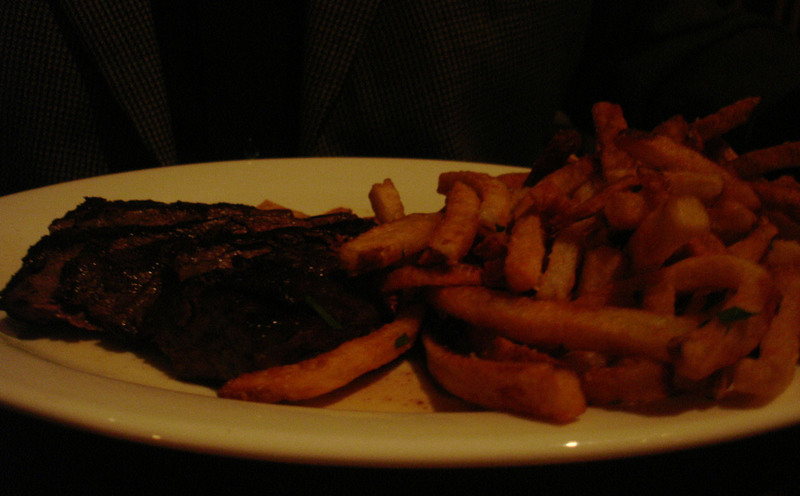 He said it was very good and he really liked the potato medallions that were served with it. 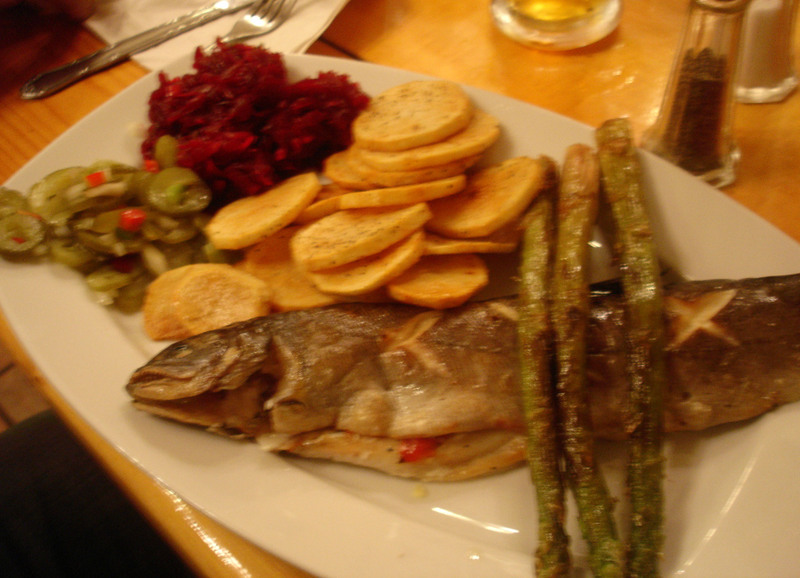 He deemed the asparagus that was served across the top of the fish as “overcooked”. I give Cafe Polonia 4 out of 5 stars. I will be back!